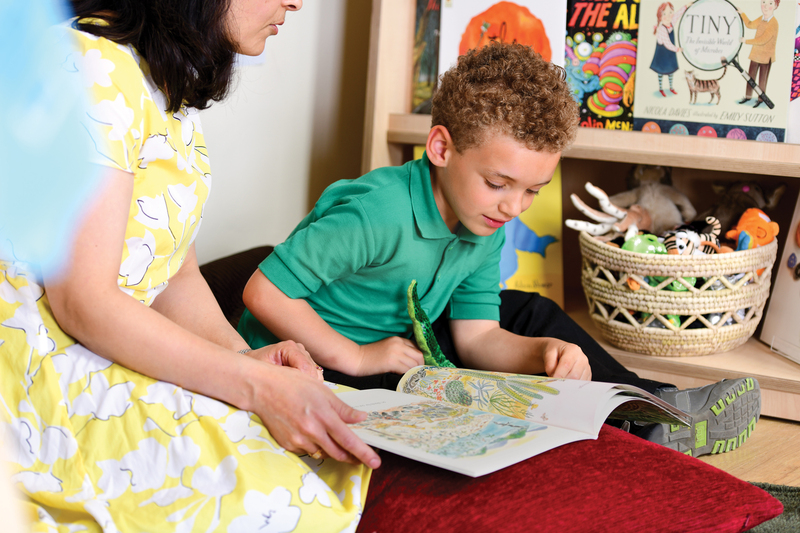 Children will have great fun developing characters of their own and inventing a whole range of wonderful stories with this complete puppet area 4-5yrs. 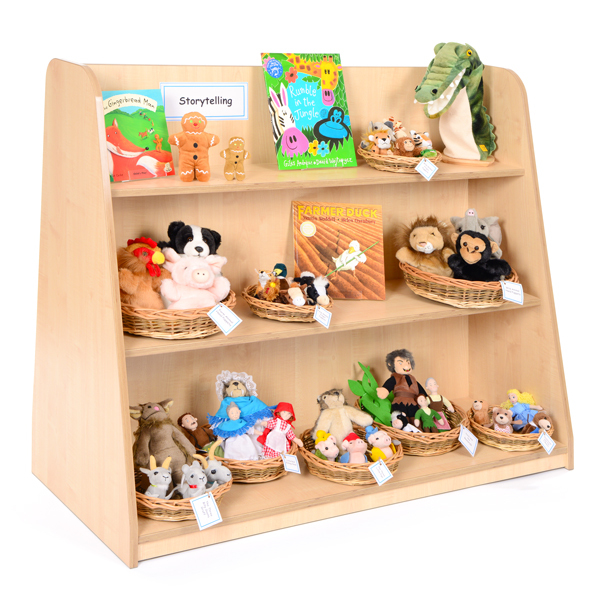 These puppets complement our complete book area beautifully stimulating, children’s imagination and helping children to engage fully with story, song and rhyme. 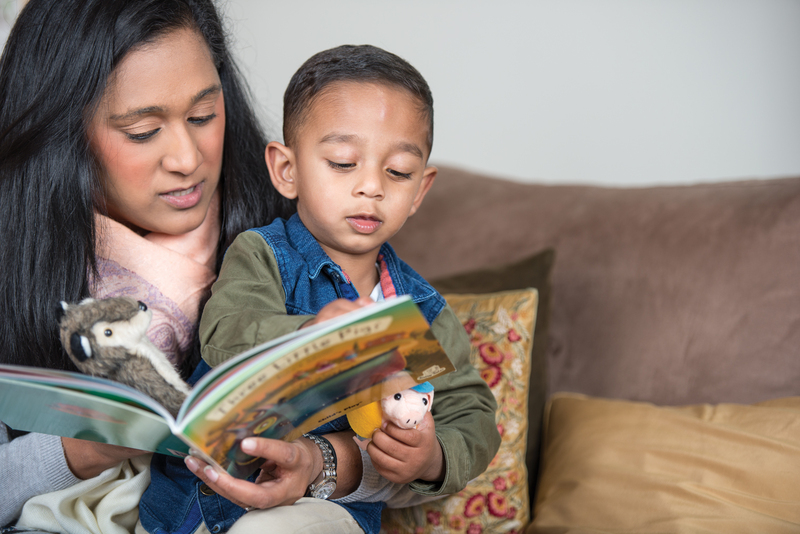 Puppets are a great way to involve children in the storytelling process, encouraging them to think about individuality, personality and character, as well as encouraging chronological thinking and concentration over sustained periods of time. 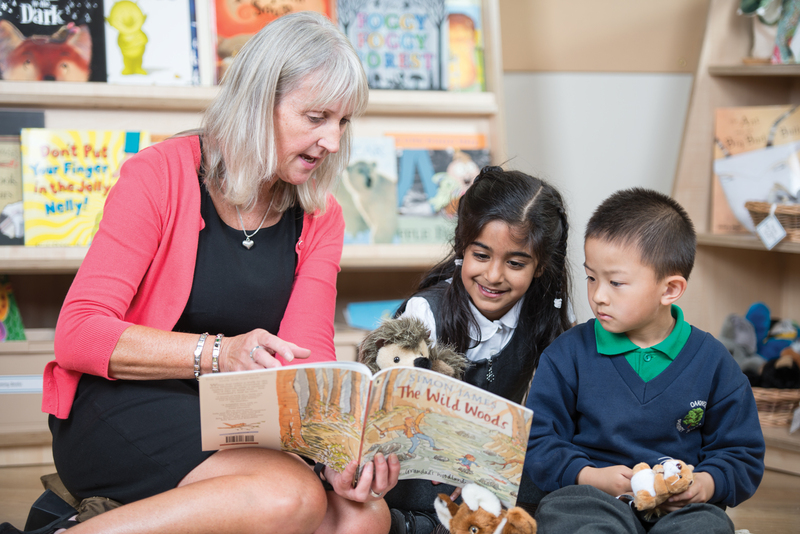 A puppet collection to support your book area will create rich opportunities to become familiar with well-known tales and to re-tell favourite narratives, encouraging social and emotional interaction. 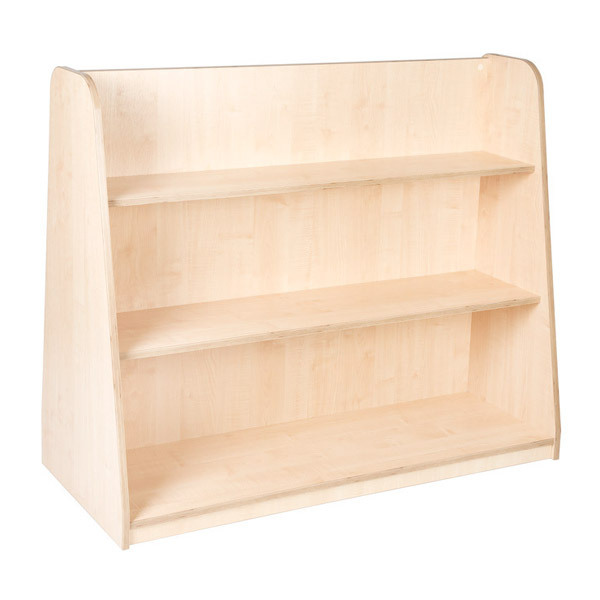 Fantastic for books and puppets, the top shelf of this unit is ideal for the display of larger hand puppets and books, whilst the lower shelves are great to access smaller sets of finger puppets. Wild Animal Finger Puppets – including an elephant, tiger, monkey, snake, giraffe and lion, there is a large variety of wild animals finger puppets for children to experiment with different voices. Farm Animal Finger Puppets – including a duck, sheep, horse, pig, cow and hen, children will love using finger puppet farm characters to re-tell their favourite tales. 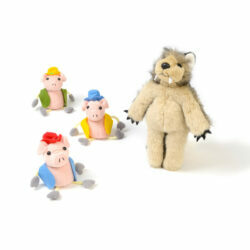 Three Billy Goats Gruff Finger Puppet Set – including 3 x billy goats and 1 x troll. This set comprises of three billy goats and one very fierce troll! 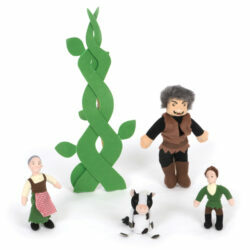 Jack and the Beanstalk Finger Puppet Set – including jack, his mother, a cow, a giant and a beanstalk. 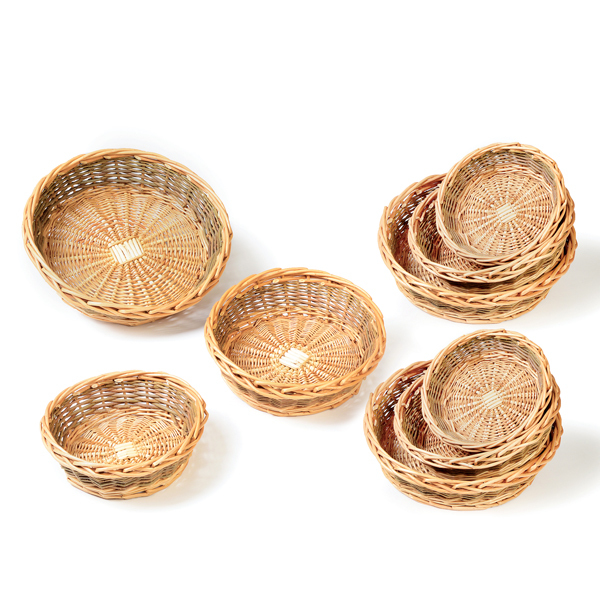 This traditional tale set even comes with its’ own beanstalk as well as the puppet characters! Three Little Pigs Finger Puppet Set – including 3 little pigs and a big bad wolf! ”I’ll huff and I’ll puff!” Children will really enjoy telling this classic tale with the aid of these puppets. Goldilocks and the Three Bears Finger Puppet Set – Another classic story in which children will enjoy creating different voices to vocalise the characters. Gingerbread Men Puppet Set – including a small gingerbread boy and a ginger bread man. These two beautiful quality puppet gingerbread men, in two sizes, will help practitioner and child to tell this favourite tale. 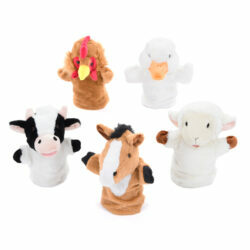 Farm Animal Hand Puppets – including a duck, cow and cockerel. This selection of popular farm animal hand puppets is great for telling many familiar stories to children. 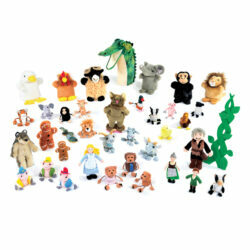 Wild Animal Hand Puppets – including a lion, monkey and elephant. Expand on themes of story-telling with our beautifully designed set of wild animal hand puppets. Crocodile Long Sleeved Glove Puppet – Bring a story to life with this wonderfully enchanting long sleeve Crocodile puppet.